In a recent PLoS one article, Healey, Purver, and Howes (2014) investigate syntactic priming in conversational speech, both within speakers and across speakers. Healey and colleagues follow Reitter et al (2006) in taking a broad-coverage approach to the corpus-based study of priming. Rather than to focus on one or a few specific structures, Healey and colleagues assess lexical and structural similarity within and across speakers. The paper concludes with the interesting claim that there is no evidence for syntactic priming within speaker and that alignment across speakers is actually less than expected by chance once lexical overlap is controlled for. Given more than 30 years of research on syntactic priming, this is a rather interesting claim. As some folks have Twitter-bugged me (much appreciated! ), I wanted to summarize some quick thoughts here. Apologies in advance for the somewhat HLP-lab centric view. If you know of additional studies that seem relevant, please join the discussion and post. Of course, Healey and colleagues are more than welcome to respond and correct me, too. 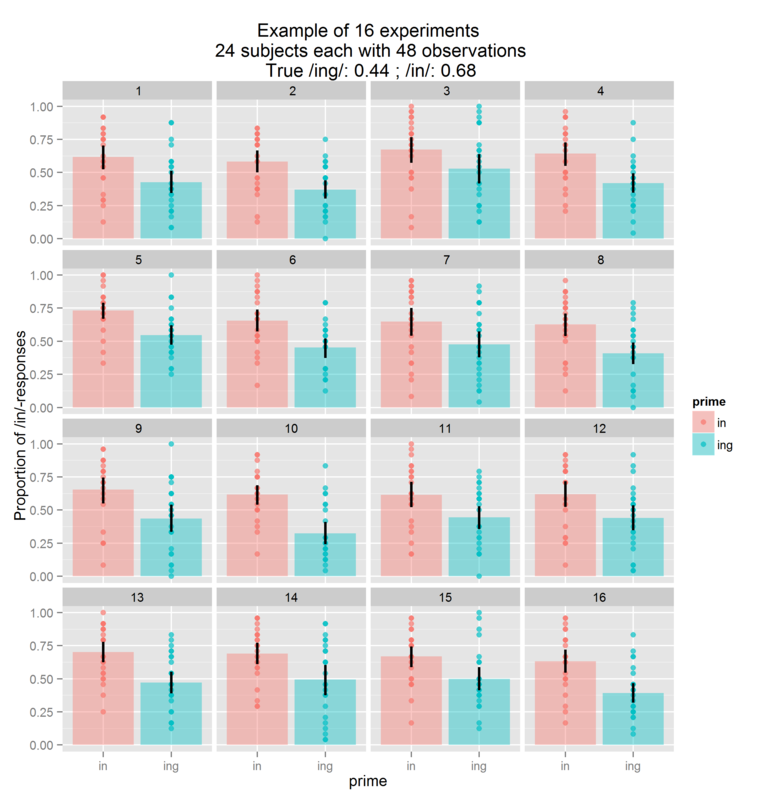 First, the claim by Healey and colleagues that “previous work has not tested for general syntactic repetition effects in ordinary conversation independently of lexical repetition” (Healey et al 2014, abstract) isn’t quite accurate. 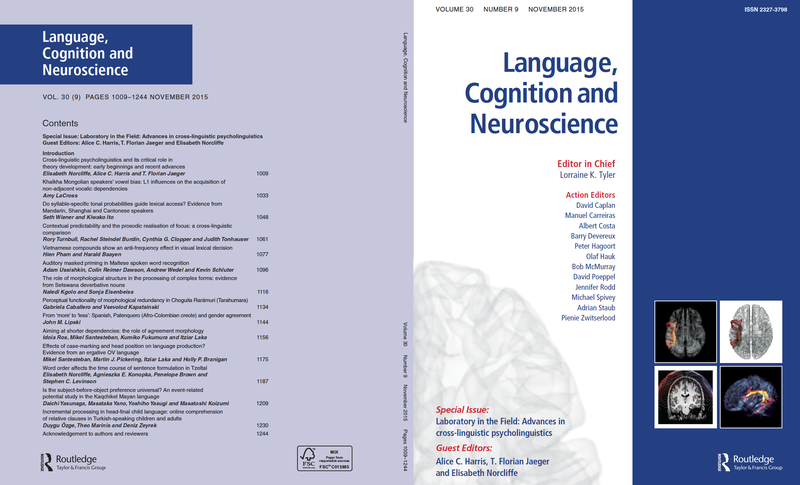 This entry was posted in corpus-based research, Results and tagged corpus-based, psycholinguistics, sentence production, syntactic corpora, syntactic priming. The first step in our OSU-Rochester collaboration on socially-mediated syntactic alignment has been submitted a couple of weeks ago. Kodi Weatherholtz in Linguistics at The Ohio State University took the lead in this project together with Kathryn Campbell-Kibler (same department) and me. 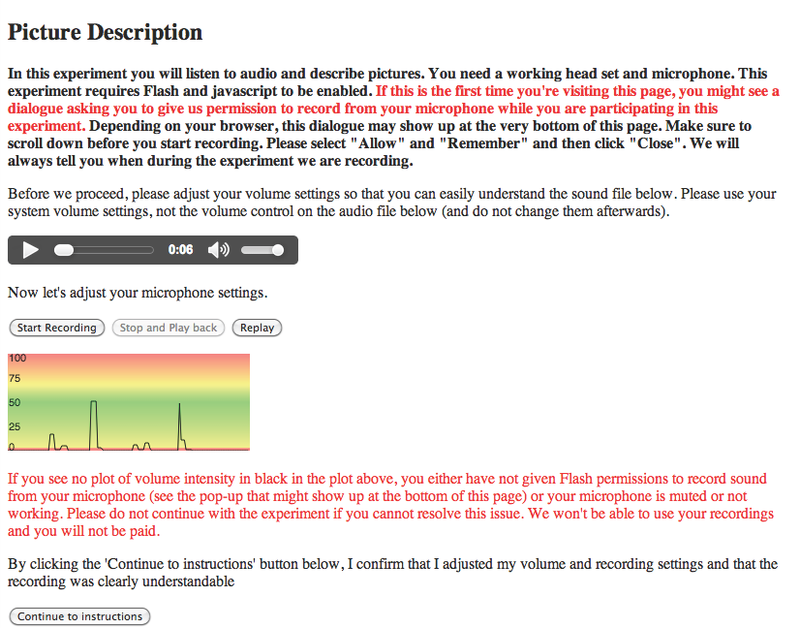 Welcome screen with sound check from our web-based speech recording experiment. This entry was posted in articles, Papers, Presentations, etc., Preliminary, Results, WWW experiments and tagged adaptation, conflict management, factor analysis, Mechanical Turk, sentence production, syntactic priming.